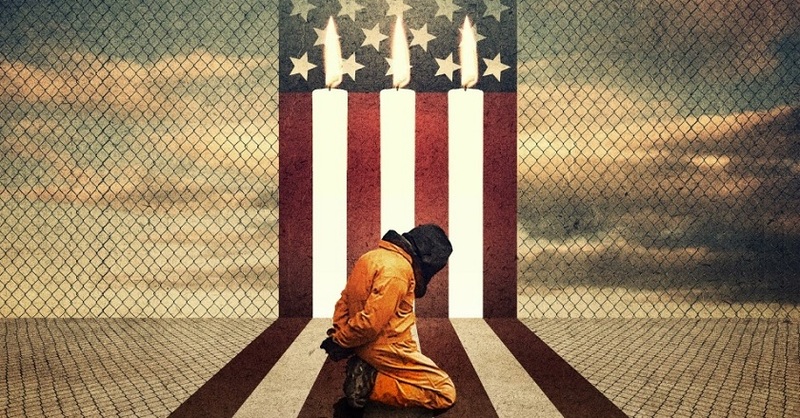 In the United States, torture is no longer an allegation. As the US Senate released findings from thousands of internal CIA memos, the nation confirms — and makes public — the horrific treatment given to detainees. Some of the debate, however, concerns whether or not the Senate errs by releasing the details. The argument accuses politicians of putting American lives at risk for the sake of political gain. If our enemies see this, they may act out against us. Indeed, as those living abroad, a few days earlier the US embassy put out an alert advising vigilance in the coming days. It is debated whether or not American torture resulted in intelligence necessary to thwart terrorist threats. The report says no, others say yes. But the basic premise of the desire to keep sordid details hidden is that transparency would result in greater harm. It is hard to imagine ‘greater harm’ for the human beings tortured, some of whom were innocent, others, certainly less so. But what is asked is trust that we allow the good guys to do a certain amount of bad, so that the bad guys will not be able to do worse. There is a perverse logic here, and the argument may be true. As an American, I like to believe we are good guys, in the end. Even in the face of terrible bad. There is worse, of course, and it does not take much effort to find it. But without transparency, our good guys doing bad may well become the bad guys doing worse. In this case, it seems pretty clear some of them did. Whether or not it was ‘legal’ is for the courts to decide. But it was immoral, and those responsible should be held accountable. Without accountability, the good to bad to worse progression becomes far more likely. Is there a message for the rest of the world? Will our [cough] commitment to transparency and accountability inspire others to do the same? Likely not. If anything it will expose us to charges of hypocrisy, and perhaps embolden the worse-doers even more. Intrepid human rights campaigners around the world are shuddering right now. Their work has always been difficult, even dangerous. Now, any fundamental American interest in the cause has been exposed. We have long been accused of only caring about human rights around the world where we had political benefit in doing so. When convenient, it is accused, we look the other way. Apparently, we do so within our own borders also. Or, perhaps from shame, we outsource desired torture to others. But if the rest of the world wants to point fingers at America, it must be noted that fear of the worse protects the bad among many. Here is a long litany of Israeli crimes against Palestinians, addressed to Christians who stand in (poorly informed?) support. Much of the pro-Israel rhetoric says the military action is necessary to defeat terrorism, against the specter of Islamist Hamas. And I recently spoke to a Coptic activist in Egypt who, while fully opposed to the Muslim Brotherhood, accuses the government of sparking fear in order to ignore demands for greater human rights. ‘Worse’ can be found easily in the so-called Islamic State, or among the drug cartels of Mexico. At what point does our worse begin to approach theirs? Only when we begin to cover it up, make excuses, or seek its justification. The US Senate has taken the first step of transparency. America’s test now is to continue with accountability. One school of thought, with a certain wisdom, says to deal with the rest of the world only on the basis of interest. It is foolish to imagine we can force the world to be moral, and we may well need immoral allies. But we can be moral ourselves. Whether with race or torture, this is an opportunity for national soul searching. It is necessary to confess and repent. « An Israeli Solution to the US Racial Crisis?